You saw our Gift Guide for Book Lovers and thought, "Wow, those would be great for my friend/spouse/dog," but then you totally forgot to buy them. You might still have time for them to arrive if you order now. Or, you can purchase an ebook and have it delivered wirelessly right away. No one has to know you waited until the last minute! 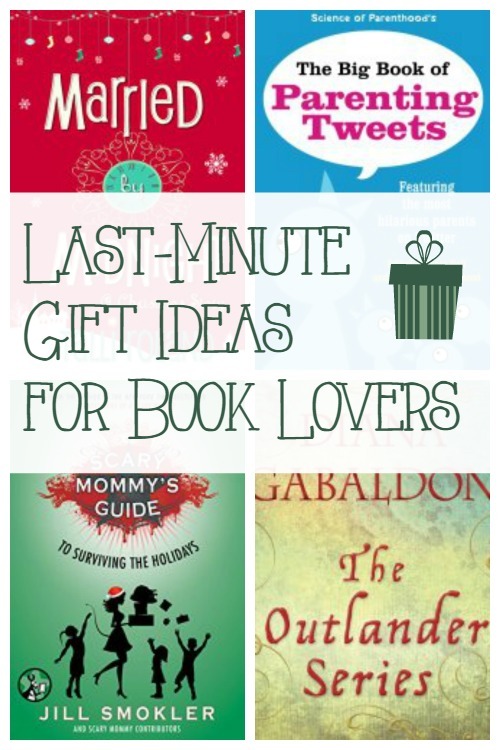 Check out our guide for some last-minute faves! A light, fun holiday read from one of chick lit's greatest writers. We dare you to not get in the holiday spirit after reading this! The holidays are hectic, especially if you have kids asking every five minutes when they can open presents. Take a break with this book of bite-sized "we've been there" nuggets of parenting funnies. It may feel impossible but you CAN survive the holidays. This humorous collection will make you laugh as you countdown to December 26th. Hey there, big spender! Rather than struggle to find a bunch of small gifts, give this 7-book bundle and be done with it! It will provide hours of entertainment that your book lover is sure to thank you for.